Chelsea will reach the semi-finals of the UEFA Europa League with another win over Slavia Prague at Stamford Bridge on Thursday. The Blues won the first leg of their last-eight tie by a narrow 1-0 margin in the Czech Republic last week and are favoured to complete the job in west London. Status as favourites is appropriate since the 2013 winners have the squad depth and match-winners to end Slavia's promising run. The visitors stunned Sevilla in spectacular fashion to advance from the round of 16, but they are unlikely to keep the Blues at bay for long. TV Info: BT Sport 3, Galavision. Chelsea manager Maurizio Sarri has been content to rest key stars for European duty while his team remains in the thick of the race for a top-four finish in the Premier League. His willingness to rotate saw Eden Hazard, Gonzalo Higuain and N'Golo Kante drop to the bench for the first leg. 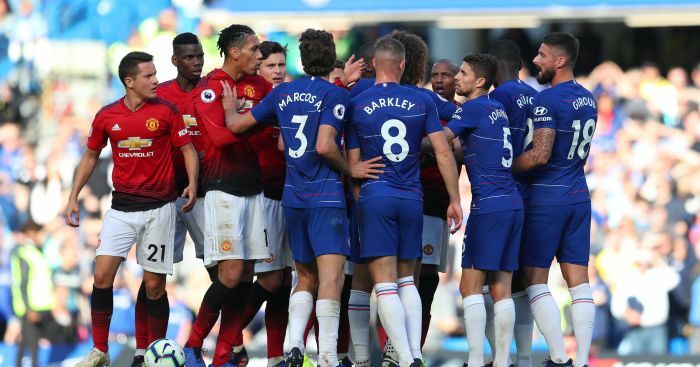 They could be needed from the start this time, though, if Chelsea are going to make sure about seeing off a tricky opponent, especially with top-four hopes in doubt. The Blues dropped out of the top four after losing 2-0 to Liverpool at Anfield on Sunday, before Arsenal won 1-0 at Watford the following day. It means winning this tournament could be the best way for Sarri to get Chelsea back into the UEFA Champions League. The Belgium international struggled against Liverpool when he looked uncomfortable in a false-nine role. Instead, he is better from the left where he can combine with full-back Marcos Alonso, who netted the winner in Prague. Being able to deploy Hazard, Willian, Pedro or Callum Hudson-Odoi on the flanks gives Chelsea a natural advantage out wide. Even so, the wing wizards need a focal point through the middle to play off and around. Sarri has enough options in attack, but he may be concerned about his defence after Antonio Rudiger was injured against Liverpool. Chelsea's best centre-back has a knee problem, leaving the head coach to choose from either Andreas Christensen or forgotten man Gary Cahill, per Simon Johnson of the London Evening Standard. Rudiger not being available should give a useful Slavia forward line confidence. Aggressive centre-forward Milan Skoda and tricky winger Miroslav Stoch have the ability to punish Sarri's men, provided astute skipper Tomas Soucek keeps the lines of supply open from midfield. Chelsea will be aware of the threat Slavia can pose when faced with elimination, notably the late goals in the 4-3 second-leg win over Sevilla. However, Sarri's squad is too deep and experienced to fall to a similar fate and should make routine work of setting up a semi-final tie against either Benfica or Eintracht Frankfurt.